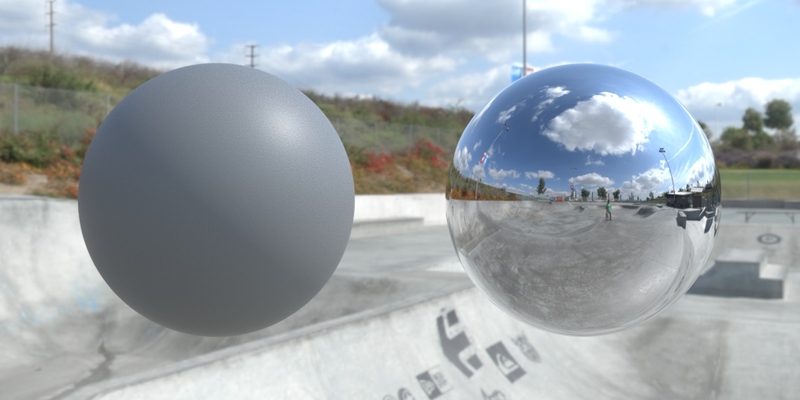 If you look for example on refractiveindex.info you will notice that no matter what material you look at, they have one thing in common: The specular reflectance at the glancing angle is always 1, which means that if you were to look at any material at a potential angle of 90 degrees they would reflect all incoming light. 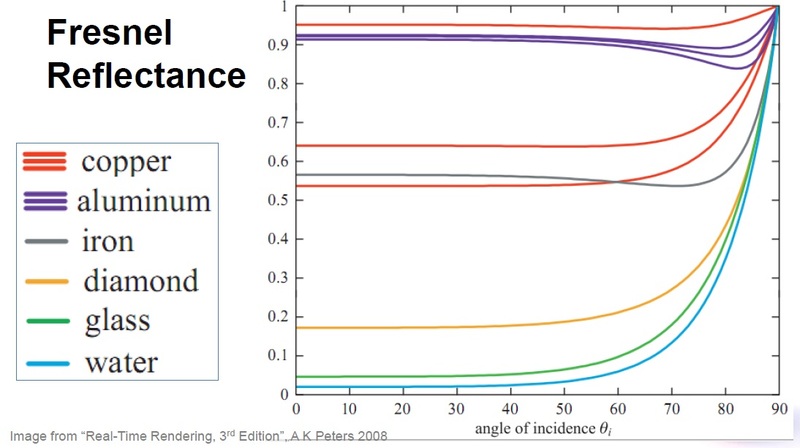 Furthermore for dielectrics the specular component of the surface maintains its incoming polarization and is consequently not tinting the outgoing reflection. 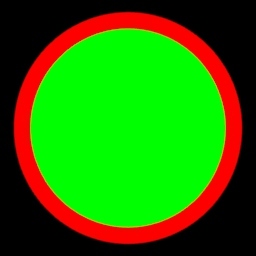 Changing the wavelength of light hitting dielectrics will not have a (perceivable) impact on the amount of light that is reflected so the specular or reflection color should stay white. Now back to the point why I said the specular albedo should always be 1 is because the way shaders in most offline-renderers work. They calculate the total surface specular reflectance with Specular Color * Specular Gain which is then attenuated by the IOR depending on the angle you are looking at it. So if you were to change the specular color to anything less than 1 you would never potentially reach full reflectance at a 90° angle. 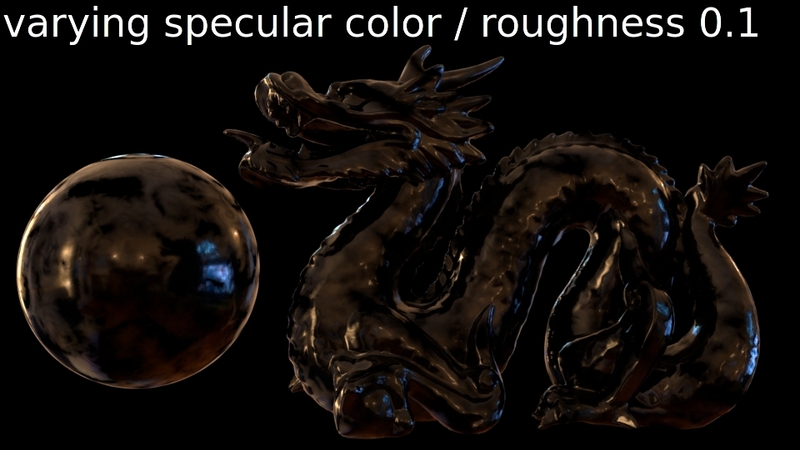 With varying the specular IOR instead of the color you are making sure you retain enough edge reflectance to create a more plausible surface appearance. The IOR range for most dielectrics is about 1.3-1.8. I will ignore metals on purpose as they come with their own special sauce. These values however are not very artist friendly to work with as they are outside the 0-1 range. 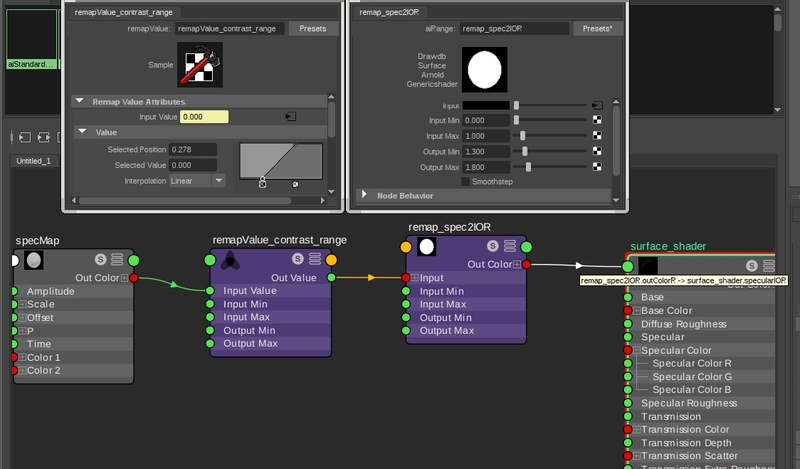 Personally what I like doing is to first remap my spec map in a 0-1 range so I get the contrast ratio I want and then remap the result to the desired IOR range (using the out_min and out_max of a remap/range node for example). 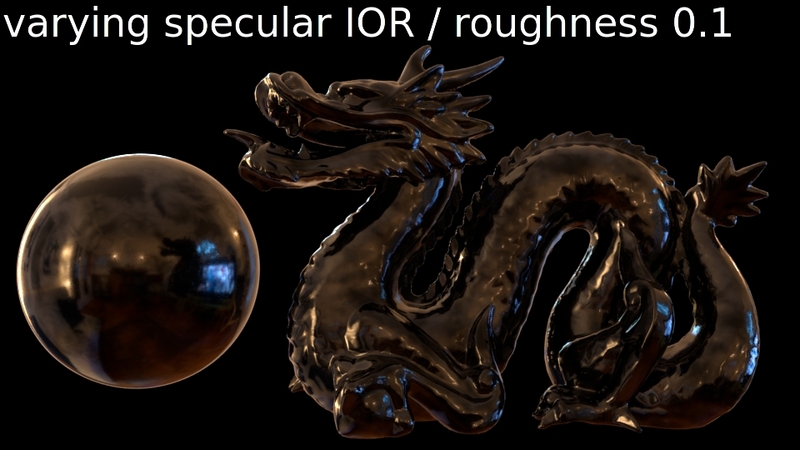 Having a nicely varying specular roughness (alongside potentially anisotropy) across the surface will give most of the realism in most circumstances with a bit of IOR variation to round the whole thing off. 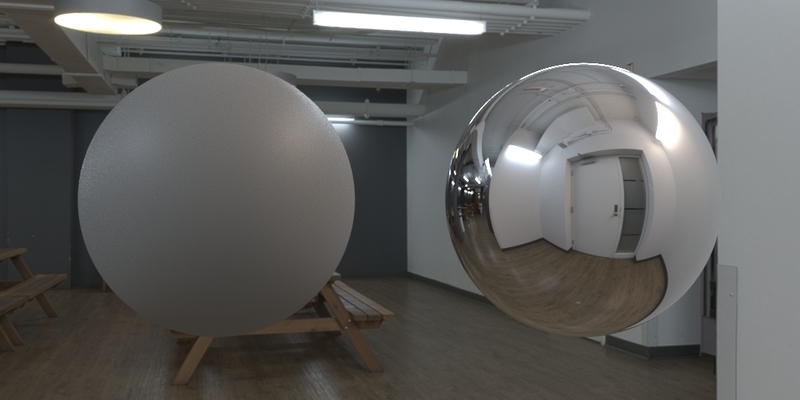 Even tough almost everything these days is path traced at the end of the day rendering is still a hack to imitate the reel world with our limited computing resources. So while this technique in theory should be more “physically accurate” it’s definitely not a solution that will always look best. Hi, it is a very helpful read! and I have a question. What cause the problem that my specular is too bright, but the IOR is already low enough? For example, for a grey ball, If I want to make it to be physically accurate, what IOR. roughness and diffuse value should I set it to? Thank you! 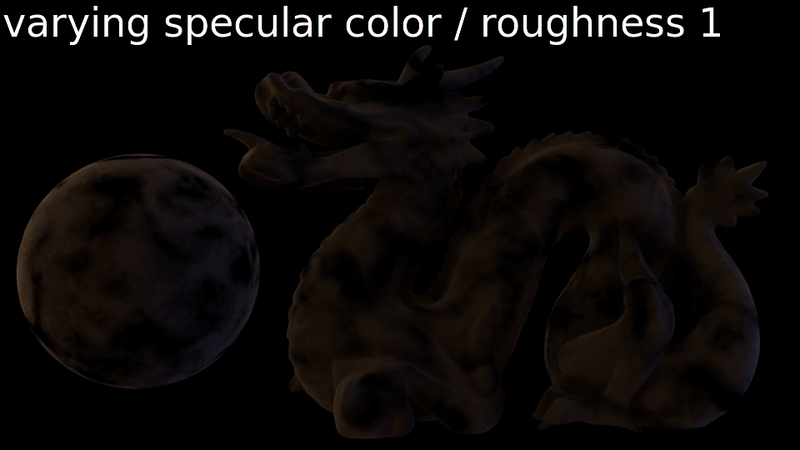 Depends on what renderer you use and how it treats roughness values. Generally a norm mid-gray diffuse albedo is around 0.18 usually. On top of that I usually use a spec albedo of 1 with an IOR of something like 1.45ish and a pretty high roughness of around 0.5. Below are some examples with using these values. Is this something you are getting, too?